The ExxonMobil Corporation (XOM), the largest of the “Seven Sisters” that originally comprised the Standard Oil Trust brought to the market by John Rockefeller in 1882, provides one of the most important lessons on what it means to be a long-term investor. With cyclical stocks, I find it difficult to pound it into both the heads and hearts of my audience just how long it can take for an investment thesis to come to fruition. If you invest in the oil majors, you almost have to dedicate yourself to become an income investor because the investment returns in the sector are so non-linear. You buy $10,000 in XOM stock thirty years ago in 1987. By 2014, twenty-seven years into your investment, your annual returns are 8.7% and your investment value grew into $93,000 for an almost ten-fold increase in your investment. What happened though, once you incorporate the effects of the subsequent oil drop into the results? By 2017, the 1987-2017 compounding rate has dropped to 7.0%. That extra one point seven percent annually accumulates over a three-decade period. Instead, your $10,000 investment only grew into $75,500. In January 1987, Treasury Bonds were yielding 7.08%. It is an embarrassing statistic to acknowledge, but it’s the truth: Buying such a bond for thirty years would’ve yielded better results than holding Exxon Mobil stock for the same period of time. This is also an example of how the data sets can mislead you. When oil is low, the comparison period is deeply affected by the low end point. So you will look at thirty years of compounding from Exxon, see that 7% figure, and then conclude that it is not an investment worth your time. And then, the cycle turns and XOM climbs to $120 per share. At that point, the thirty-year compounding might show something like 11% over thirty years. That might sound pretty good to you, and induce you to invest at that moment. But that is the moment when Exxon has a good chance of trading at a cyclical high. That is the tricky part of cyclical investing. When the results look the worst, your interest should be the highest. And vice versa. So how could an investor navigate the climate from 2014 onward? By having the attitude of an owner that is going to be a lifelong investor in ExxonMobil and recognizing that you have a stake in an entity that produces over 2.4 million barrels of oil equivalents every single day and once had a book written about it called “Private Empire” which argues that Exxon executives have been more powerful than the leaders of some third-world governments. 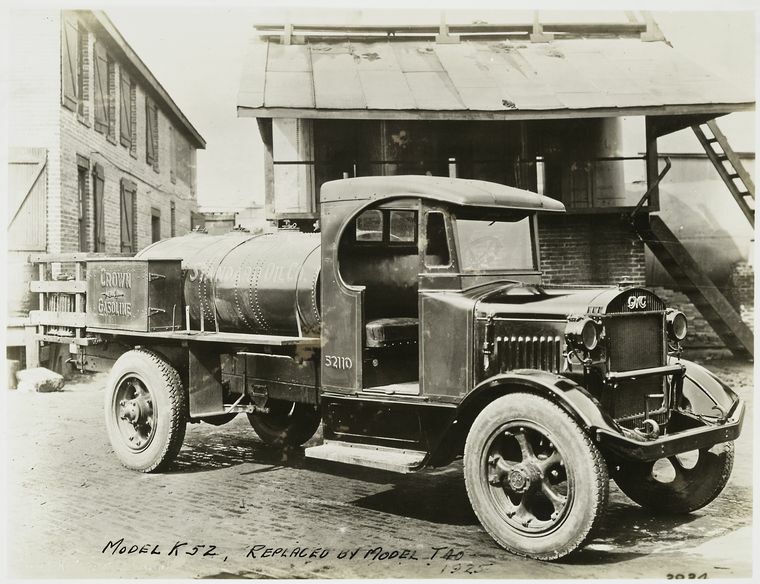 From its humble beginnings with gasoline delivery by truck, ExxonMobil has grown into a global behemoth that produces 2.4 million barrels of oil equivalents per day. It is one of the safest investments in the entire world, and I would wager it would be one of the last ten businesses to declare bankruptcy in the event of a Great Depression 2.0. The manifestation of your lifelong commitment to the energy giant’s stock is that the dividend check has never declined and has gone up every single year for more than three decades. I’ll stick with my example. Someone who had invested $10,000 in 1987 would have had 1,128 shares of XOM stock in 2014. How might you handle the lack of capital appreciation to come in the years that followed? By collecting the $2.70 per share XOM dividend in 2014, the $2.88 per share dividend in 2015, the $2.98 per share dividend in 2016, and $3.06 dividend per share in 2017. That is an income stream that grew from $3,045 in 2014 to $3,451 in 2017 even while you were spending the proceeds along the way. There aren’t many other things you can do with your money where you’ll get more and more each year without doing anything, and a focus on that factor should make it easier to deal with the lack of capital appreciation. Plus, if you plan on keeping assets as part of your estate anyway and think that the only use you’ll ever get out of your investments is through the income it throws off, then you can have a detached attitude towards the decline in oil and maybe even be more likely to choose dividend reinvestment to pick up more shares while the stock is priced more attractively than the S&P 500. But still, the capital gains caveat is important to keep in mind. Most people assume that they will see their delayed gratification rewarded within thirty years. If you make an investment in 2017, you’d like to believe that the decision would have paid sometime before 2047. But the super-cyclicity of oil firms won’t guarantee you double-digit compounding over any specific year because the price declines can make years and years of compounding disappear. The qualification to that qualification is that, even in this unattractive scenario, Exxon Mobil still managed to double your purchasing power when measured against inflation. If the purpose of investing is to increase or at least maintain future consumption, then Exxon Mobil met that goal even if double-digit gains did not materialize. One of the reasons why Exxon hasn’t worked out as well as hoped is because the Exxon management team has declined to make share repurchases when the stock was priced attractively. From 2001 through 2017, Exxon managed to reduce its share count from 6.8 billion to 4.2 billion. That is great. That is fantastic. Alongside IBM and Wal-Mart, that is one of the most effective share repurchase programs in the United States during this generation. And yet, look at what happened once oil got low. Exxon Mobil had 4.20 billion shares in 2014. It now has 4.23 billion. It has actually issued a little bit of stock to dilute its shareholders while the price of its stock has declined from the 2014 high of $104 per share. It would have great for shareholders to see Exxon aggressively retire shares when the stock fell to the $60s, even borrowing if necessary because the gap between the stock price and long-term intrinsic value had grown so great. And yet, the management team did nothing. Technically, they did a little bit worse than nothing by slightly diluting the shareholders. I much prefer the Munger approach to performing investment analysis. If the numbers are worse than you hoped to find, tell your audience and hope they can process the information soundly. And then offer a solution to the disappointing results such as receiving the dividends as cash and waiting as long as need be for the recovery. ExxonMobil has been an adequate stock this generation, and it is important to note that even three decades of patience may not be enough if the terminal point of your comparison period features a moment when the price of the underlying commodity is low. ← How Does A Reverse Mortgage Work?